Hello! 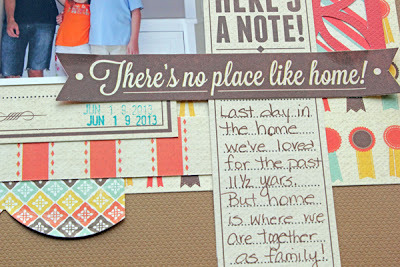 I am Aimee Kidd and I am so very excited to have been chosen to be one of the guest designers for We R Memory Keepers. 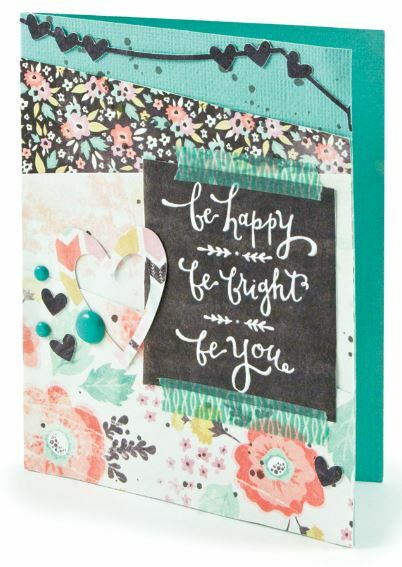 And I was even more excited that I got to work with the Country Livin’ collection because it is just gorgeous! I mean seriously, look at those colors! Yummy!! 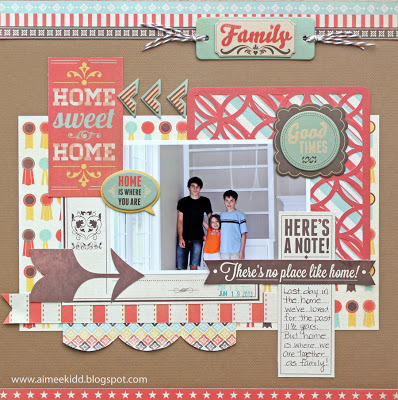 For my project I wanted to make a layout documenting something that has recently transpired in my family’s life. We moved from a home that we’ve lived in for the past 11 1/2 years. It’s been a great home and none of us knew how special it was until the last few days and minutes. Lots of tears were shed but now we are looking forward to being in our new house and making it “home”. 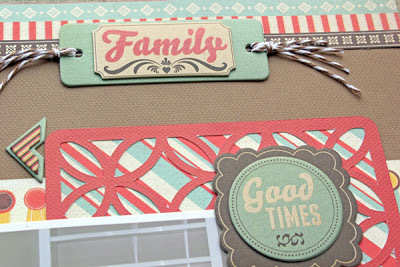 This collection was perfect to document this event with all of the family and home sentiments of it. 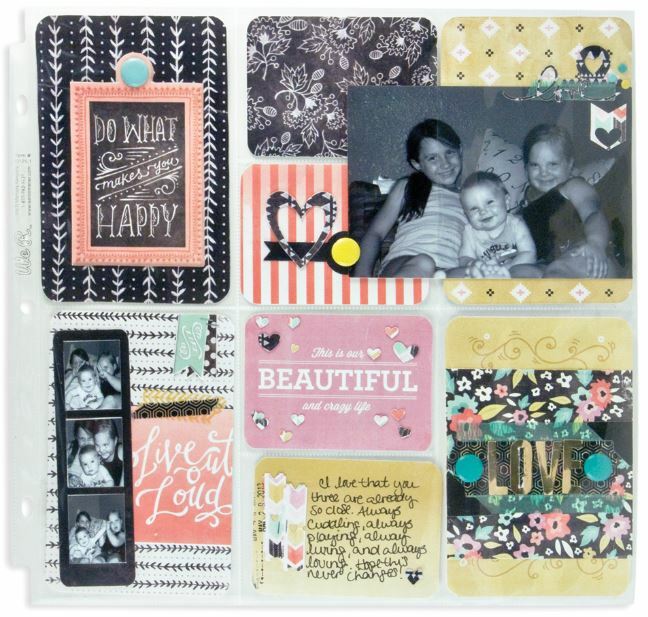 If you’re curious about how the Albums Made Easy Journaling Cards compare to other journaling cards on the market, check out the video below where I demonstrate the great value and versatility of the We R Memory Keepers Journaling Cards kits. The Fold Down Craft Table was a HUGE hit at the CHA show. 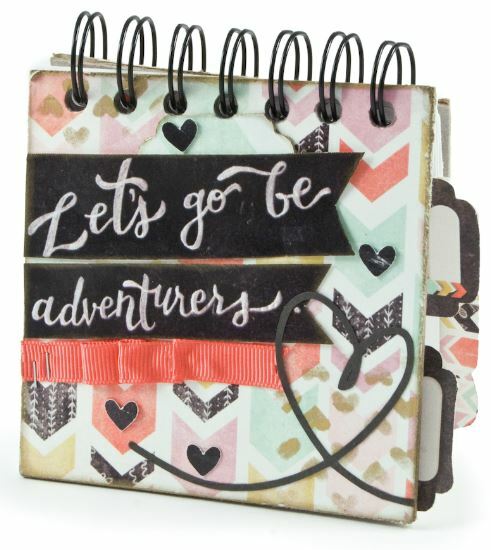 The craft table folds out to 23 ½” wide x 59” high x 34” deep and is ideal for scrapbooking, sewing, crafting, organizing the home, studying, and more. Save even more space by folding the craft table up, and it becomes a decorative chalkboard that can be replaced with photos or artwork. Check out this video to see the Fold Down Table in action. Where will you put it in your home? You’ll be seeing the brand new Chalkboard collection in a store near you next month. We thought we would give you some eye candy to admire. 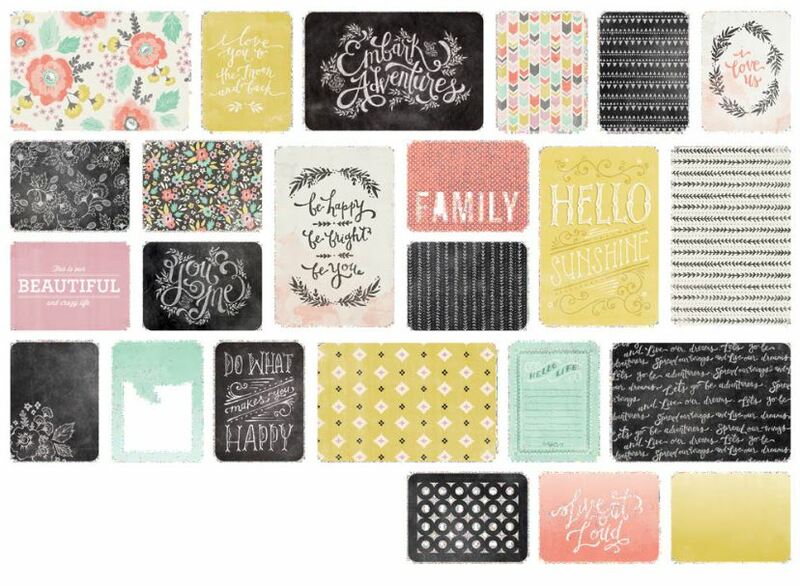 It’s our way of helping you get in your creative mindset to use the Chalkboard collection for your next project. If you want to win a sample of this amazing collection post a comment and let us know what you are doing while we are here at CHA. 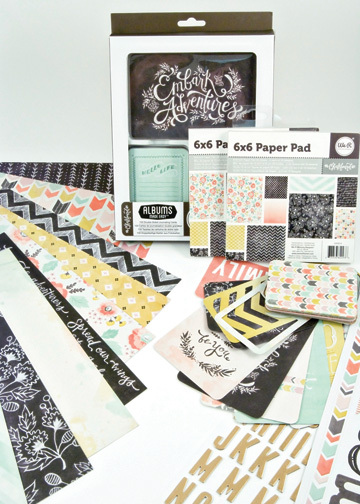 The winner will receive a sample of the Chalkboard Paper Pack. Not a bag way to start a day, hu? 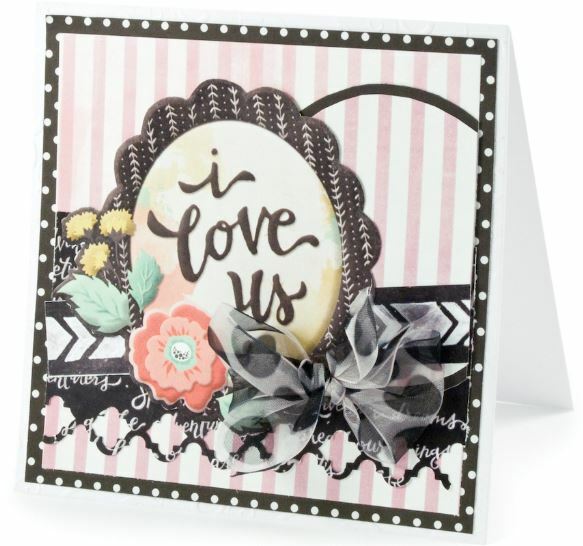 The Chalkboard collection also includes Jouranling Cards to match the line, which works great with the Albums Made Easy system. It’s both cute and easy. A perfect combination. We have a Tab Punch winner……..and the winner is Tammy Johnson. Help me congratulate Tammy. She’ll get to pick one of the Tab Punches that she can enjoy for her creative endeavors. 🙂 Tammy please email me at jenny@weronthenet.com with your address and your punch of choice. THANKS to everyone who participated. The trade show is now over, so it’s time for us to clean up and fly home. Wish us safe travels and join us tomorrow for more inspiration. 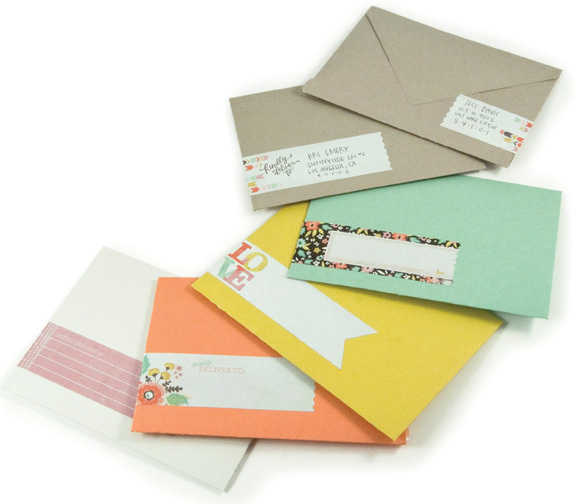 Send envelopes in style for birthdays, holidays, weddings, and other special occasions with Envelope Wraps. 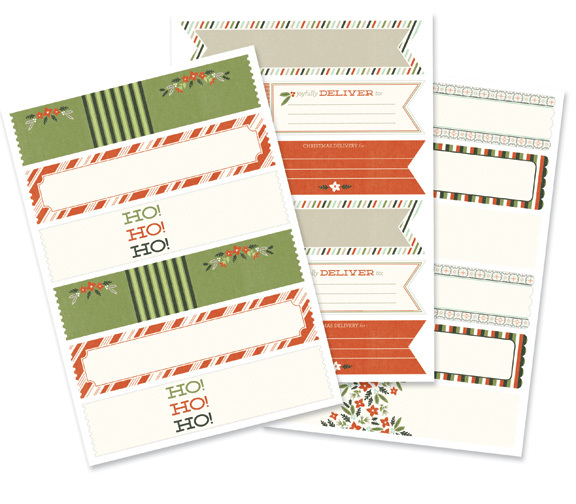 Each package includes 18 self-adhesive designer Envelope Wraps in nine different styles. 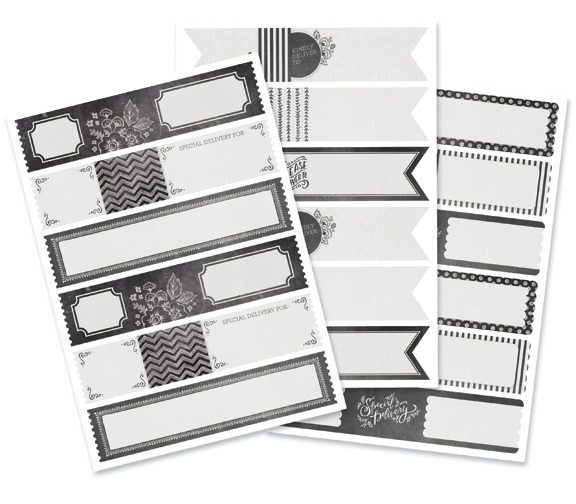 Create your own envelopes using the Envelope Punch Board and finish it off with unique Envelope Wraps. 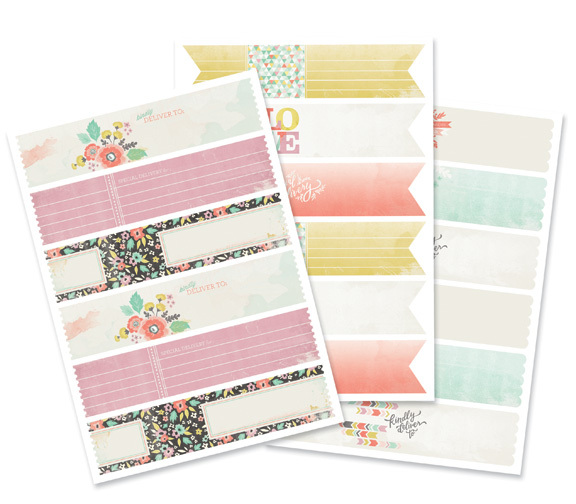 Look for wraps in Floral, Chalkboard, Kraft, and Seasons Greetings beginning in August. 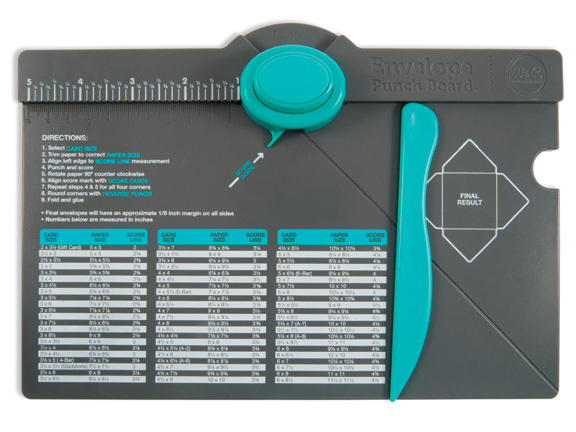 Envelope Wraps coordinate perfectly with the Envelope Punch Board. Win a TAB Punch of your choice. It’s simple to enter. Simply post a comment and let us know why you want to win. You can post as many times as you want. Next, share this with your friends. I’m giving you more time on this one. The winner will be chosen later this afternoon. I wanted to give your fingers a little bit of a break. I hope that’s okay. 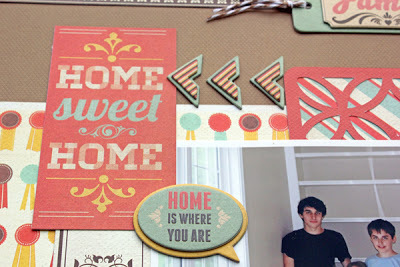 AMY JONES is the Winner…………..
A BIG congrats goes out to Amy Jones, who is We R’s latest winner. Amy please email me at jenny@weronthenet.com with your address. We will be doing another giveaway shortly after lunch so stay tuned. AND let us know what you want to win. This contest is officially over. Let me randomly pick a winner. Hang tight to find out if the winner is YOU!